Water water everywhere and nor any drop to drink. This seems to be this years climate change theme as we are now experiencing first hand how an increase in the evapotranspiration cycle is leaving us with both flooding and arid landscapes. ecoartspace is currently working on three water programs this year, building on an online exhibition entitled WaterWorks, which we curated in 2006. And, ironically, this winter has been one of the driest on record in the USA according to the National Weather Service. Opening March 1st at the San Joaquin Delta College LH Horton Jr. Gallery, ecoartspace has curated eight site works for the exhibition Delta Waters. 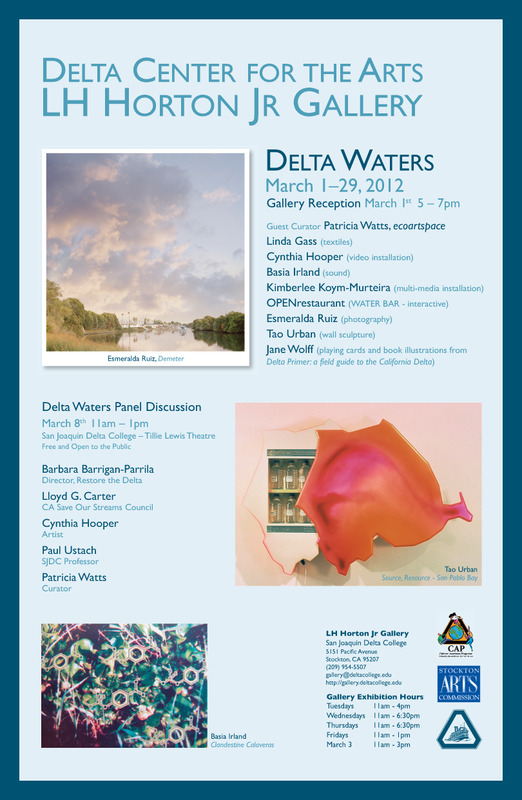 Jan Marlese, the Gallery Director in Stockton, California invited Patricia Watts last spring to identify mostly California artists who already had, or who would create, art works specifically addressing water related issue unique to the Delta Region. The San Joaquin Valley is a complex terrain of highly regulated water rights in one of the most historically fertile and productive food regions in the world. 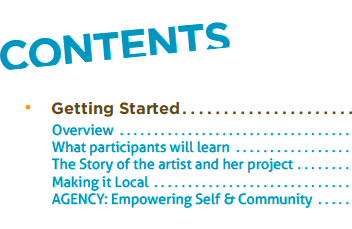 Artists include Linda Gass, Cynthia Hooper, Basia Irland, Kimberlee Koym-Mureira, OPENrestaurant, Esmeralda Ruiz, Tao Urban and Jane Wolff. Five of the eight installations are being created specifically for this exhibition. On March 8th, there will also be a panel discussion at Delta College Tillie Lewis Theatre with Barbara Barriagan-Parrilla, Director of Restore the Delta; Lloyd Carter with Save Our Streams Council; Cynthia Hooper a video artist in Delta Waters; and Paul Ustach a SJDC science professor. Watts will moderate the discussion. And, that's not all, coming up this fall Patricia Watts has also been invited to curate a residency and exhibition entitled Shifting Baselines for the Santa Fe Art Institute addressing water scarcity in the Southwest including Cynthia Hooper and Hugh Pocock. Additional artists from the region will be selected for the exhibition that will open early 2013.